Light up your weekend at this feast for the senses. 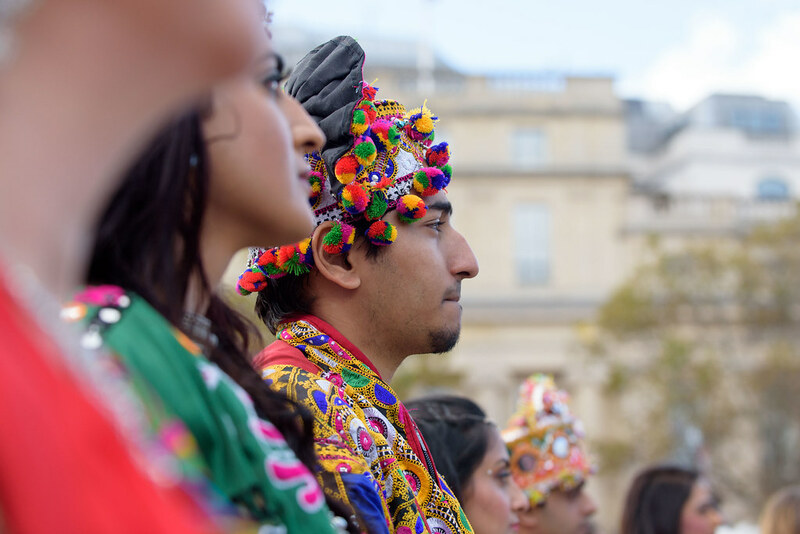 Diwali Festival takes place on Sunday 16 October at Trafalgar Square from 1-7pm. The square will come alive with the colour, music and dance of India. Explore Indian crafts and gifts, then try your hand at making your own Diwali lamp. Feeling peckish? Experience the spices and flavours at the Indian street food market. Why not try something new? Learn how to tie a sari, try your Bollywood moves or have your hands painted with henna. There’ll also be a lively stage line up and mischievous blue monkeys scampering around the square – plus much more! This free event is organised by the Mayor of London, with support from the Diwali in London Committee. To find out more about our upcoming events sign up for our Events newsletter. Images from Diwali Festival 2016! See the images from Diwali 2016 here. Sari Zone: learn how to tie a sari, make a small donation and get a sari to wear and take home.